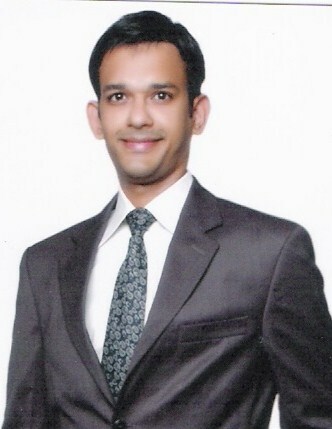 Hamid Nehal Ansari, an engineer studying for his MBA from Mumbai worked as a lecturer at the Management College in Mumbai until October 2012. Hamid was the President of the Rotaract Club Mumbai in 2012 and actively worked for and believed in the betterment of the life the less advantage through education. Hamid decided to pursue an alternative career in aviation and lined up a job interview in Kabul Afghanistan. He travelled to Kabul on the 4th of November 2012 and was due to return to India on the 15th of November 2012 but failed to do. Hamid’s parents Mr Nehal Ansari and Mrs Fauzia Ansari desperately tried to establish contact with Hamid but failed to do so. They have contacted Hamid’s friends and contacts in Kabul who claim that they do not know the whereabouts of Hamid. On behalf of Mr and Mrs Ansari, I appeal to Hamid or anyone who knows Hamid to contact Mr and Mrs Ansari immediately via this blog link. Mrs Ansari is extremely distraught not knowing where Hamid is having not heard from him for over six months. It is believed that Hamid crossed over into Pakistan encouraged by his friends and contacts in Pakistan. Active attempts are being made by the Government of India to ascertain the whereabouts of Hamid. “My family and I are humbled by the support of so many people around the world. Thank you for your support it is appreciated. It is now almost 16 months since Hamid’s disappearance and we do no further forward to establishing his whereabouts. I know from Hamid’s Face Book page and from his e-mails that he was regularly in touch with friends in Pakistan namely Mr Sadullah Khatak, chief editor of ‘Dastak News’ and Mr Attaur Rehman Awan employed at ‘Dastak News’, Ms Saba Khan, Ms Nadia Khan, Dr.Shazia Khan who works at PIMS Hospital in Islamabad, Ms Humaira Hanif and a Mr Abdullah Zaid all of whom live in Pakistan. Hamid was in regular telephone contact with Ms Nadia Khan who is from Kohat Pakistan. The internet conversation between Hamid and the aforementioned discloses that Dr. Shazia Khan invited and encouraged Hamid to travel to Pakistan via Afghanistan. full protection by Mr Attaur Rehman Awan, an employ of ‘Dastak News’. An email sent by Hamid to Ms Saba Khan discloses that Hamid reached Pakistan and that Hamid stayed with Mr Attaur Rehman Awan in an area known as Karak, near Kohat in Pakistan. Mr Attar Rehman Awan has admitted to a number of people that Hamid stayed at his house for a number of days and that later he arranged for Hamid to stay in a small hotel named ‘Palwasha’ in Kohat near Kohat Bus Depot with the help of a local man called ‘Abdullah Zaid’. Mr Attar Rehman Awan maintains that the hotel Palowasha was raided by a government agency and that Hamid was taken away by them. Despite repeated requests and the serious nature of Hamid’s disappearance, the Pakistani authorities are failing to investigate Hamid’s disappearance. I have made direct requests to the Pakistani authorities as well as requests via the Indian Government. These have not yet been acknowledged by the Pakistani authorities. My family and I have no interest in the politics whatsoever; all we want is the safe return of our son Hamid to his despairing and worried family”. Online petition urging the respective Prime Ministers of India and Pakistan to intervene and help secure the release and return Hamid Nehal Ansari to his family in India. Please click here to sign petition. Thank you for your support.